Add a luxurious, shimmering gold hue to your eyes. 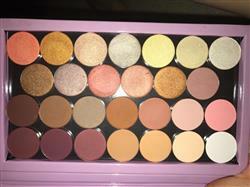 I love all my shadows they are so pigmented and gorgeous. If I could give this shade six stars, I would, It's very much a true coper shade and I didn't notice any other tones in it. 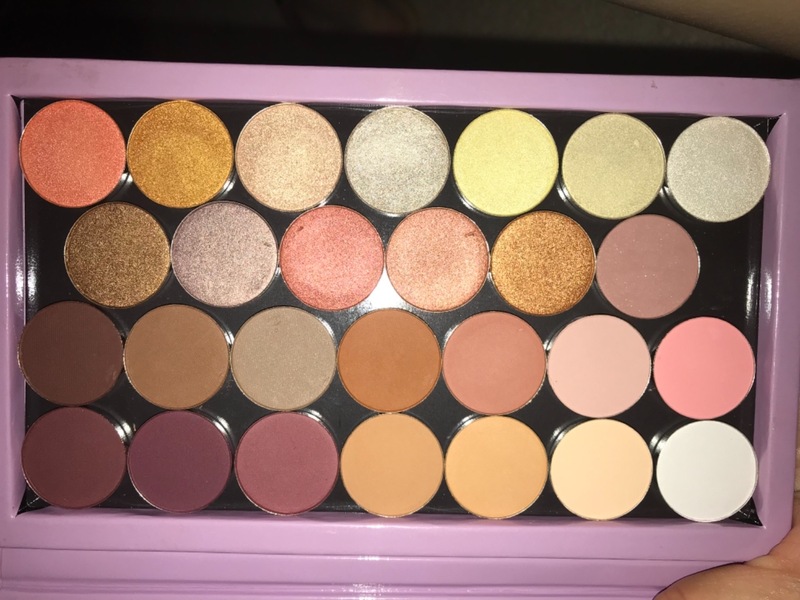 It is so beautiful and pigmented. It blends very well; I use it as a lid or crease shade but I'm sure it would go in the outer corner and look very pretty too. There is some fallout but I think that is true of every shadow that's not a cream and it wipes away very easily. I have a medium and fairly neutral (barely warm side) skin tone. Also, I strongly recommend looking at some swatches first in all my reviews because the colors usually don't look the same as they do on the CS site- to me at least - and sometimes it's a night and day difference. I'd hate to see someone get a color they aren't expecting and judge them all based on that one experience because the shadows are amazing with very few exceptions. This Eyeshadow Is So Pigmented & So Pretty I Love It !! I have purchased a few pots and eyeshadows from Coastal Scents and have never been let down. They are so cost effective, I love that I can build my own pallet and the quality is exceptional.